"Foto ultra Age repair The first photorepair antiaging sunscreen. 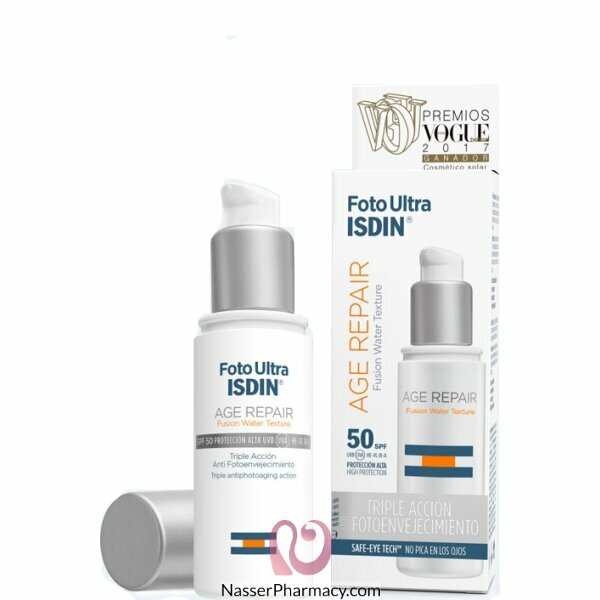 Helps prevent and repair photoaging. Benefits: Helps prevent sun damage (SPF 50+, UVA 32). Contributes to the repair of accumulated sun damage in the DNA of the skin cells thanks to its DNA Repairsomes(R). Reverts the visible signs of photoaging, brightening skin and improving skin appearance while reduces the existing wrinkles thanks to its Q10 Lipopeptide and its Collagen Booster Peptide. How to use: Apply generously twice a day, gently massaging on face, neck and neckline. "